Professional Male and Female class winners will get ticket to ADCC Worlds 2019! April 28th ~ May 1st of 12.00 p.m. (noon) is the final date for any changes in the lists. To change your division etc. please Correction Form sent massage than the deadline will be considered. 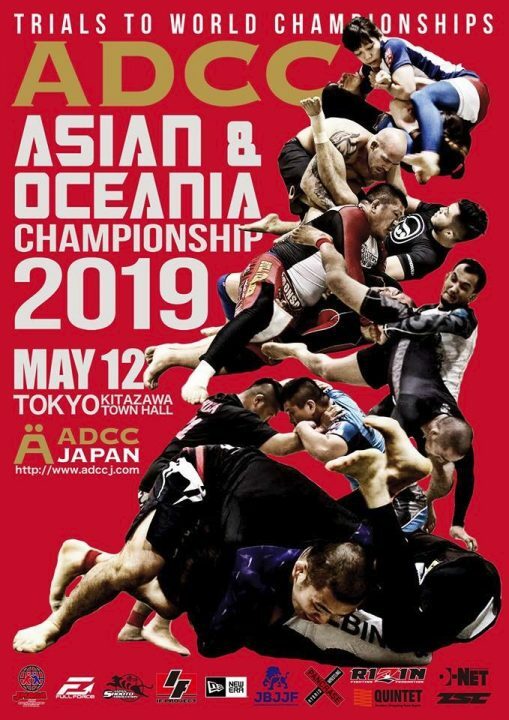 A list of competitors will be published ADCC JAPAN Facebook page and Homepage. Please check, if you are listed and if you are in the right division. The venue is open at 10:00 on May 12th for all competitors and coaches for registration process. Please bring your valid Passport or ID. ALL ATHLETES AND COACHES MUST BE ON TIME FOR REGISTRATION PROCESS! Don’t be late! One fighter can bring one Coach for free, with a limit of three coaches per team. Coaches have to wear sport clothes and must understand English. An official obligatory rules meeting for all athletes and coaches will be held at 11:30 on the center mat. Athletes must be present for weigh-in when the division is called. Athletes, who are overweight will be automatically disqualified and cannot compete. registrations, not showing up for fight or being disqualified for overweight or not being at the registration and/or weigh-in or any other reasons. Please check the Event Page on Facebook for up-to-date news and info.